Does Atheism Provide the Best Source of Morals? These three questions were the subject of a debate between Charles Smith (president of the American Association for the Advancement of Atheism) and W.L. Oliphant (preacher, church of Christ). 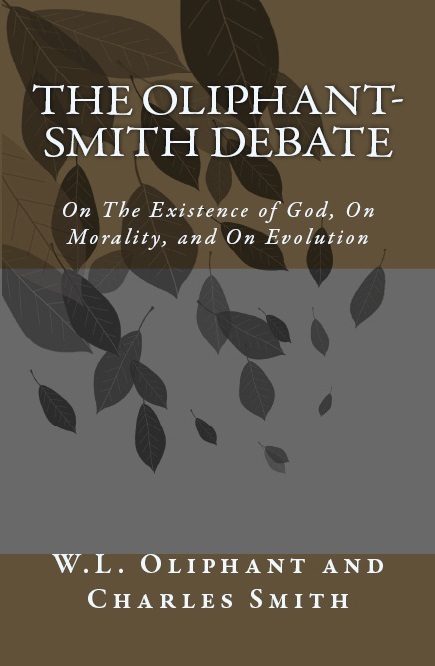 In this debate, Oliphant shows conclusively that atheism is false, that the Bible is the only standard of morals, and that evolution is not possible. At the end of the debate, only two people in the crowd still believed God doesn’t exist.